More before you move onto Backwaters for Kumarakom houseboat cruises ! More before you move onto Kumarakom backwaters for a houseboat cruise ! When one thinks of Kumarakom, scenes of backwaters and peculiarly built Kumarakom houseboats flash across the mind in various shades. Also awarded best responsible tourism destination by UNTWO & eco-friendly backwater destination in Kerala Kumarkaom is homeland to a unique backwater lifestyle. 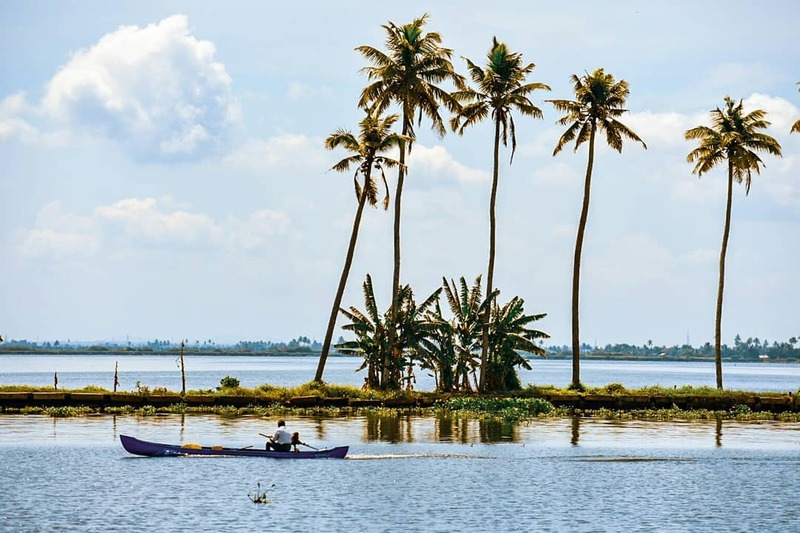 The city is richly connected with many natural and man-made canals and streams, which eventually merges into lake Vembanad. It is no wonder then that the major tourist attraction of this destination is the mesmerizing backwaters. The best way to enjoy these bewitching canals & backwaters is through renting a ethnic Kumarakom houseboat. These boats have a long history with the region, and are the perfect way to relax and savor the leisurely pace of journey. The most of the houseboats can be hired from the gateway to the backwaters in between Kumarakom and Kollam. One can spend either a few hours or a couple of days in the boat, which caters everything a five-star hotel would provide. 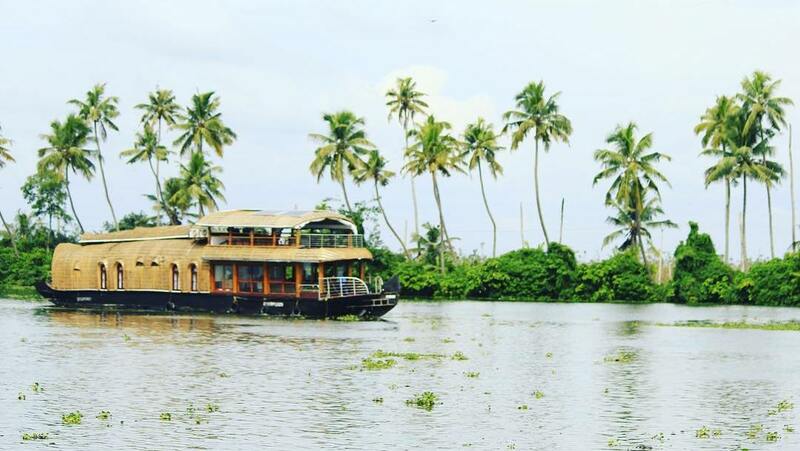 Kumarakom Houseboat cruises with or with out stay are the must try activity whilst in Kumarakom ! Read about 06 Amazing Kumarakom Houseboat packages You’ve Never Considered and Why You Really Should ! Simply put, a Kumarakom houseboat is a floating house. These boats boast of all the luxuries that a tourist can ask for.These days, the houseboats boast of the same comforts of a basic yacht including furnished bedrooms, modern toilets, cozy living rooms, state of art entertainment systems, a kitchen and even a sun deck. These accommodation facilities vary in size from 1-bedroom boats to huge 2-storeyed boats which can easily accommodate around 100 people. There are also luxurious huge multi-storeyed boats which are nothing short of floating resorts.Further every houseboat has a captain, a chef and an oarsmen who will be travelling with the tourists. But this small crew remains largely out of sight, thereby not spoiling your privacy or your engagement with the mesmerizing landscape. Houseboat Stay options:Tourists can book Kumarakom houseboat cruises for a 2 hours, 1 day, 1 day and night or extended cruises. Depending on the duration of the stay, the houseboat takes tourists around Kumarakom or can club Alleppey with that. Just like any typical hotel, bookings can be done through the tour operators/ Houseboat operators or via OTAs. A tourist can select the duration of the cruise, number of rooms, option to have an exclusive boat or shared boat, route of the Kumarakom Houseboat cruises etc. at the time of booking itself. Please make sure that you chose reputed & Kerala Tourism accredited houseboat operator to ensure that they adhere with all necessary safety and security requirements. Check their eco-friendliness, customer ratings and reputation on sites like Google / Trip Advisor. Also check travelers reviews on websites and travel portals regarding their commitment to nature. Average Costs: A good Kumarakom houseboat cruise for a full day & night stay option may cost around ₹ 8,000 – 18,000 for an adult. Trivia:The cost of a houseboat is inversely proportional to its age. A good boat can be at its prime for a period of 4-5 years and after that, it may creak and age gradually. Tip:There are many add-ons and custom features available in houseboats like AC, upper deck, custom menus etc. Discuss all these factors with your boat operator before booking. Unlike several other tourist destinations, a Kumarakom Houseboat cruises is not about the destination, it is about the overall experience. But as you cruise along the calm backwaters, there are many tourist destinations that you will come across. As you drift along in a houseboat and enjoy the scenic view of the Kerala countryside these places will mesmerize you with their unique beauty. Spanning across miles of Kerala’s waterways, this is the world’s second largest freshwater lake. It is so large that tourists may even mistake it for a sea. The lake is algae rich and is marked with two variations of water (brackish and freshwater). The shores of this lake are dotted with coconut trees, Kerala villages and some tourist attractions too. Also while you cruise along the lake, do not miss the tourist attractions such as Kumarakom tourist village and bird sanctuary. Situated on the shores of the Kumarakom backwaters, this island will blow your mind away with its scenic beauty. Pathiramanal in local language means “sands of mid night” where fishermen used to rest in their night fishing rove in search of Pearl spot fishes, Lobsters & Mussels. Here, each grain of sand has a story to tell, each of them possessing unique beauty and distinct from the other in its entirety. The island is spread over an area of 10 acres and is a paradise for hundreds of rare birds, including 91 local species of birds and 50 migratory birds. One can see Pintail Ducks, Common Teal, Night Heron, Cormorant, Darter, Indian Shag, Purple Heron, Cattle Egret, Indian Pond Heron, Little Egret, Bronze-winged Jacanas, Stork-billed Kingfisher, Darter, Whistling Duck, Cotton Pygmy-Goose, Little Cormorant and Whiskered Tern. The Thanneermukkom Bund (Thannermukkom Salt Water Barrier) was constructed to prevent tidal action and intrusion of salt water into the Kuttanad low-lands across Vembanad Lake between Thannermukkom on south and Vechoor on north. Thanneermukkom Bund was constructed in 1974 and is functional since 1976. It is the largest mud regulator in India. This barrier essentially divides the lake into two parts – one with brackish water perennially and the other half with fresh water fed by the rivers draining into the lake. During Kumarakom Houseboat cruises one can pass over the bund through the regulator to the North side of lake Vembanad. This would be your last stop, before the houseboat takes you back to Kumarakom. Nicknamed as ‘Venice of the East’, Alleppey is homeland to a unique backwater lifestyle. 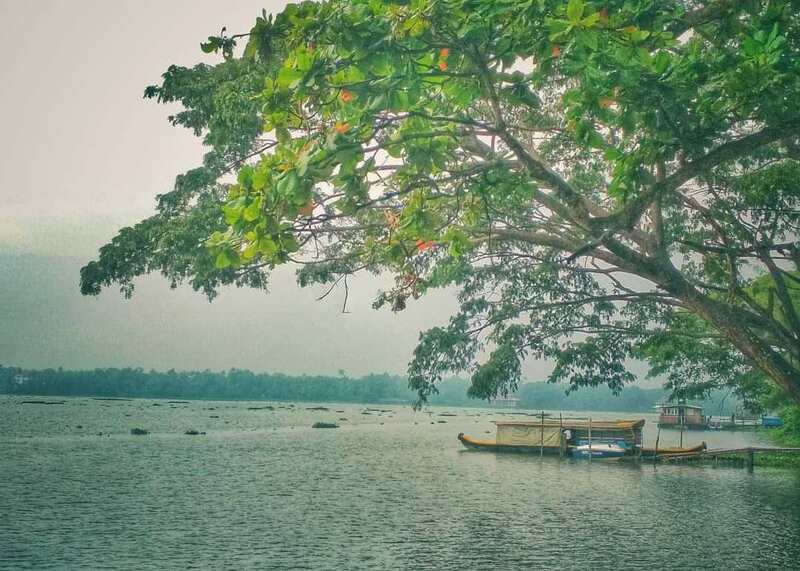 The city is richly connected with many natural and man-made channels, as also large lakes Alappuzha is gifted with great natural beauty with the Laccadive Sea on its west. The town has a network of lakes, lagoons and fresh water rivers. The backwaters and wetlands host thousands of migrant common teal, ducks and cormorants every year who reach here from long distances. A major feature of the area is the region called Kuttanad, the ‘granary of Kerala’. Kuttanad is also known as the rice bowl of Kerala and is one of the few places in the world where farming is done below sea level. The paddy fields lie about 0.6 to 2 m below mean sea level. While commonly known as “Chinese fishing nets” in India, the more formal name for such nets is “shore operated lift nets” Huge mechanical contrivances hold out horizontal nets of 20 m or more across are seen on the North east banks of Kumarakom. Each structure is at least 10 m high and comprises a cantilever with an outstretched net suspended over the sea and large stones suspended from ropes as counterweights at the other end. Each installation is operated by a team of up to six fishermen. 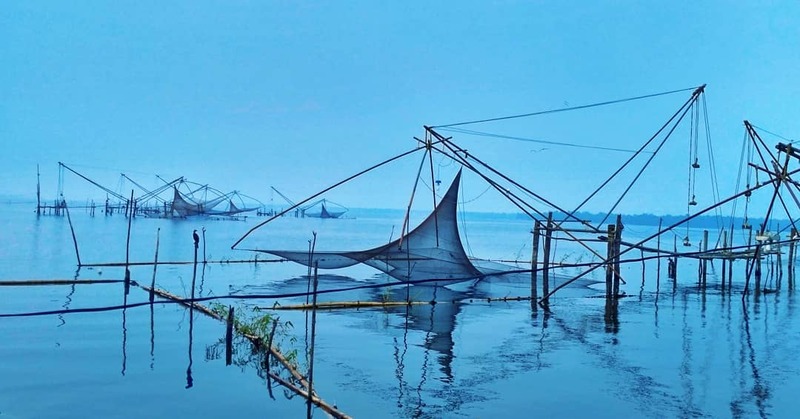 While such nets are used throughout backwaters but are mostly prominently found in Vechoor area of Kumarakom. These nets may have been introduced by the Chinese explorer Zheng He and have become a very popular tourist attraction. Their size and elegant construction is photogenic and the slow rhythm of their operation is quite hypnotic while on Kumarakom houseboat cruises. In addition, catches can be procured from fishermen individually and can take onboard Kumarakom houseboat where the onboard chef will cook and spice it up for you. NOTE: You may or may not cover some of the above mentioned tourist attractions based on the duration of Kumarakom houseboat cruises opted for. As mentioned before, each houseboat has a cook, who is responsible for preparing fresh Kerala styled food for the guests. The boat will take guests to local fisheries where any special fish can be bought, these can then be prepared by the cook. Houseboats have a pre-set menu, so requests for any special food need to be mentioned early. While you stay in the houseboat, do care to taste Kuttanad Meencurry (Kerala-delicacy fish prepared in coconut milk), Kareemeen Pollichathu ( Pearl spot fish barbequed in banana leaves) and Pazhamboori [Banana Fritters] (a savoury snack made of banana). Vegetarians can enjoy the Kappa dishes of Kerala. For more Insights on What is best on Kumarakom Backwaters — Cruise with overnight stay or Houseboat day trip? You need to pack according to the season, in humid summers cotton would be preferable & during wet monsoons rain protective gears are must. You must remember that the backwaters is a plastic free zone and you cannot leave behind any waste or hazardous materials. Remember that it is your responsibility to preserve the delicate balance of the land. Soft liquor & hard liquor are not available onboard any houseboat, so if you want to spirit up your souls make provisions for that. Make sure you pack your binoculars and cameras. Trust me you are going to need it a lot. There are plenty to click in this little piece of heaven. Shopping:Handicrafts items made of wood and coir. Nearest railway station:- If coming from south side, Kottayam, If from north side, Ettumanoor. If some one who took coastal rail line should opt Cherthala. ← Planning your holiday in Kumarakom but confused about what to do?